The last year has been something of a great one for Reese Witherspoon. The Oscar winning actress achieved cinematic success behind the camera for producing critically acclaimed thriller Gone Girl, and is now currently enjoying equal acclaim for her starring turn in Wild, a big screen adaptation of Cheryl Strayed’s best selling memoir Wild: From Lost To Found On The Pacific Crest Trail. With Witherspoon’s name and the film in general being among the list of Academy Award nominees revealed just days ago, I was eager to see if Wild was going to live up to the high levels of hype that accompanied it into the screens of Britain’s cinemas. The film tells the real life story of Cheryl Strayed (Reese Witherspoon), a young woman whose life begins to fall apart due to family tragedy, drug addiction, divorce and overall self destructive behaviour. In an attempt to become the revitalised, vibrant, enlightened woman that her mother (Laura Dern) always saw her to be, Cheryl embarks upon a one thousand mile hike along the Pacific Coast Trail on a journey of self discovery and demon facing. Beginning in the Mojave Desert and finishing at the Canadian border, the film follows Cheryl on her arduous adventure, meeting many obstacles along the way both physical and psychological. In tone with the nature of the film’s activity, Wild moves at an ambling but pleasant pace. The picture begins almost in a medias res fashion, with only minimal but still effective premise setting before the hike actually begins, the filmmakers instead trusting the audience to piece together much of Cheryl’s past life. When the short and select revelatory flashbacks do occur, they help to cement audience assumption and add important dimension to the lead character. To but it bluntly, Wild is everything that Eat Pray Love wanted to be but failed at miserably. Rather than a twee, self indulgent and superficial exploration of the human condition, the film instead provides a surprisingly, to me at least, cathartic and inspiring experience that I did not necessarily expect. The audience get to witness a snapshot of the path to an individual’s emotional healing, and the narrative makes for engaging and captivating viewing. There are, perhaps, only two occasions at which the film can be accused of being saccharine or heavy handed in the treatment of it’s message and themes, and the filmmakers commitment to showing both the gritty aspects of both Cheryl’s life and the hike itself ground the picture in an enjoyable sense of realism that stops it from becoming preachy. A few gimmicky techniques such as infrequent internal monologue are used, but this is clearly just a way to include some of the film’s source material verbatim and can be easily forgiven. The beating heart of the film lies in an excellent and endearing performance by Reese Witherspoon. Witherspoon’s earnest, no frills, stripped down portrayal achieves the vital goal of creating a character whom the audience actually want to follow on this long journey. She is believable playing a range of ages in the handful of important flashbacks and gamely tackles the very authentic feeling physical aspect that the role demands. Whether it be climbing over fallen boulders, wading through snow or simply coming to terms with the unexpected weight of her backpack, Witherspoon makes Cheryl’s on screen journey look as hard as it clearly was in real life. Also impressive is the subtle but visible growth in both physical and psychological stature that the character experiences through the narrative, and Witherspoon shows more acting talent and nuance than I have ever seen her display before, including her Oscar winning turn in Walk The Line. The only other character of note in the film is Cheryl’s mother Bobbie played by Laura Dern. Dern gives a solid and enjoyable performance as a character who appears to be the embodiment of optimism and positivity, and acts as a believable inspiration for Cheryl’s actions throughout the film. Though Dern gives a fine performance, her inclusion in the Best Supporting Actress category for the Oscars can be described as something of a surprise. Admittedly, though, that particular category is rather week this year with even a customary (this time undeserved) nod to Meryl Streep thrown in. Patricia Arquette should have no problem grabbing the award for Boyhood but I suppose if the Academy were to find four fillers then Laura Dern is a deserving runner up. 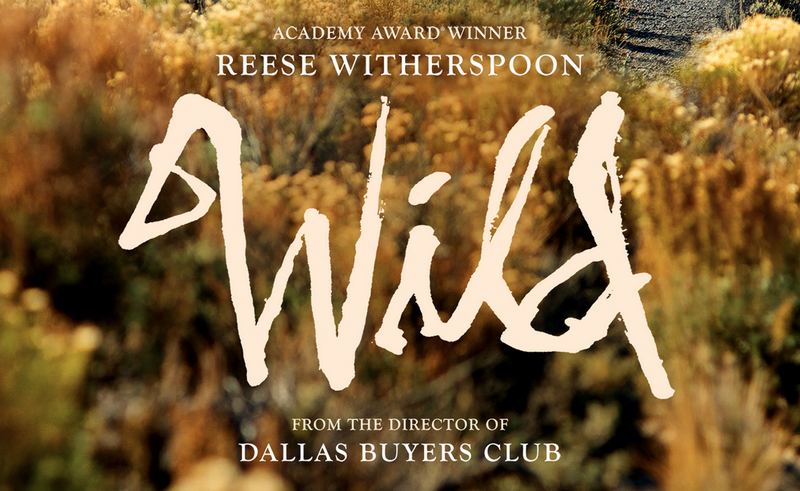 Overall, Wild is film that inspires without ever preaching too hard or over sentimentalising. With beautiful scenery to consume and an engrossing personal journey to follow, the picture is something of a benchmark for how to portray cinematic self discovery and emotional healing in a credible and authentic manner. I found myself swept up in the detail of Cheryl Strayed’s life and invested in the completion of her adventure. The film left me wanting to follow her further than the Pacific Crest Trail and back in to the minutia of real life, which for a film already two hours in length is one of the biggest compliments a viewer can pay. I saw this last week and loved it. It absolutely smokes Eat Pray Love. Good read! I enjoyed Wild, but I had a couple of minor issues with it. 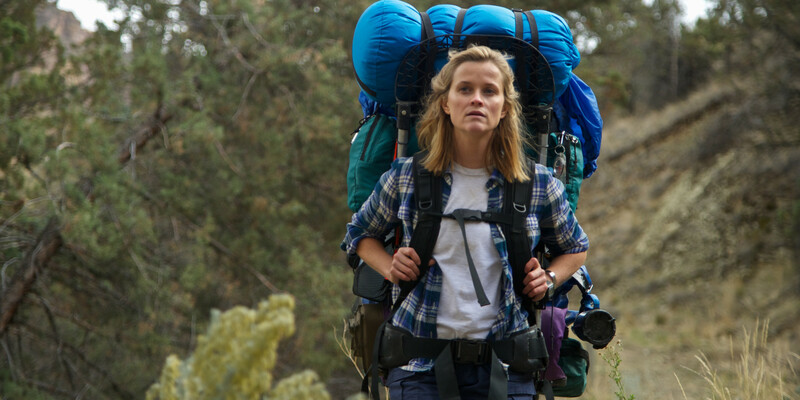 Thought Witherspoon was very good as Cheryl The Hiker, less convincing as Cheryl The Junkie. But maybe it’s just me! I already think I’d like to watch it again to see if my opinion changes.